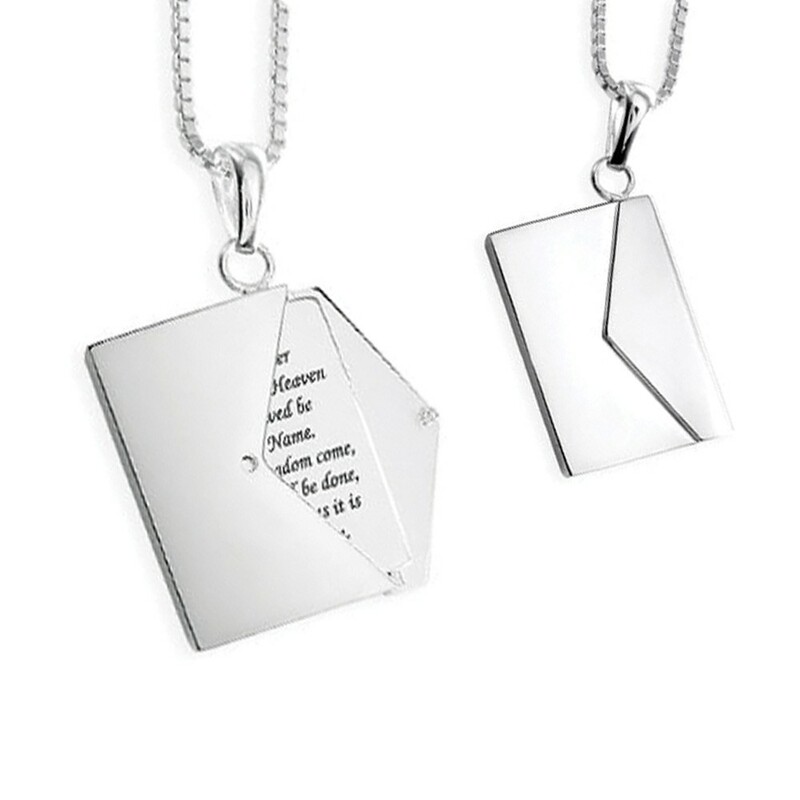 Glorify life in a beautiful way with your personal message engraved into our Sterling Silver Message Envelope Locket. Now offering FREE engraving! This holiday season only. Allow your memories to truly be kept a secret and send away into history. This memorial envelope locket can be customized with engraved name, dates, initials or heartfelt message for a loved one with up to 120 characters (including spaces) in one of our most popular font styles: Block, Script, and Traditional. "Thank You so much for all your time and effort in making these silver plates. I really love them and they fit into my envelope with no problems. Thanks again!"